I love these little ghosty shapes. 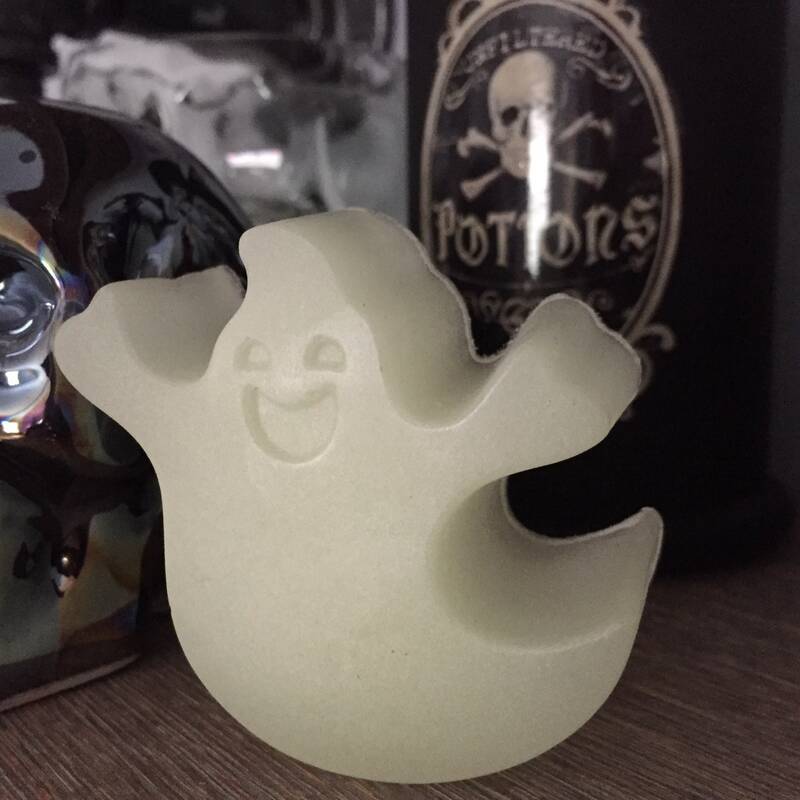 I used the mold to make a big batch of cold process soap and just HAD to use it again. In planning and searching out what I wanted to create for Halloween I ran across a source for some glow-in-the-dark colourant. Hmmm. I thought. I did a little more research and realized HEY! This would be amazing in my little ghosties. They are available is two bright fruit scents, cherry or grape. To get them to glow, either hold them up to a light source for a bit and turn off the lights, or just let it charge naturally during the day. The colourant is skin and bath safe. I've been using it in a couple different products for a couple of weeks now and actually forgot that I was testing it, I just don't notice it outside of the glow. ➡ Each bar is about 2 ounces by weight, not volume.